This kettle features a unique, modern design that will compliment any kitchen. 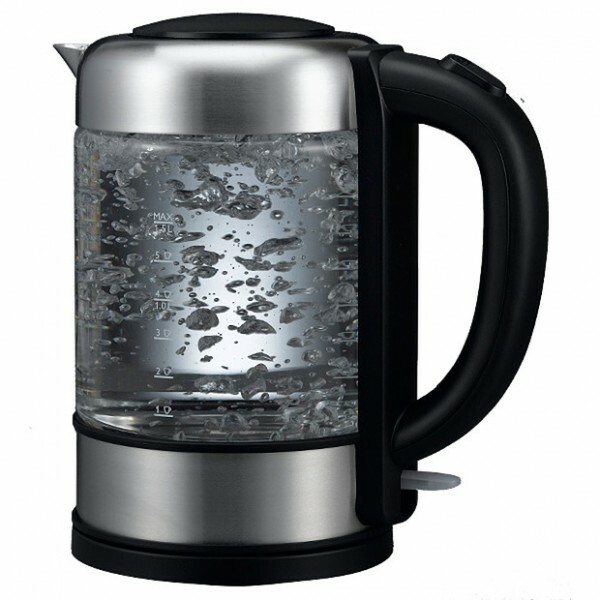 Not only is the 360 degree swivel base made from stainless steel but the kettle itself is made of tough, see through glass with water level indicators along the side. It boasts 2200W of power for fast boiling, and a 1.5 litre capacity. Boil dry protection ensures the kettle can't be left switched on without water, damaging the appliance. This is a great all rounder!